ARE YOUR TIRES WEARING OUT? Offer valid 3/1/2019 - 4/30/2019. Available on select tires in stock at participating dealerships. Some exclusions apply. This promotion cannot be combined with any other offers, including other tire manufacturer rebates. Must present the original coupon upon arrival for initial service. Valid for most makes and models. See your Service Advisor for details. ©2019 FCA US LLC. All Rights Reserved. Chrysler, Dodge, Jeep, Ram, Mopar, SRT and HEMI are registered trademarks of FCA US LLC. FIAT is a registered trademark of FCA Group Marketing S.p.A., used under license by FCA US LLC. 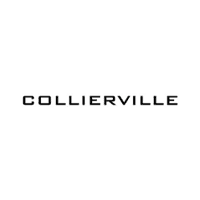 Collierville CDJR would like to show our appreciation and support for active duty and retired military personnel. 10% off discount up to $100.00. Coupon not valid in conjunction with other coupons or discounts. Must present coupon at time of write up. Limit one coupon per person. Does not apply to prior purchases. Not valid on all makes and models. Must show LES statement or DD22. Void where prohibited. See adviser for details. Includes visual inspection of compressor, A/C lines and hoses. Brake system inspection is an absolute must to ensure safety while driving, so take advantage of this FREE service at Collierville CDJR’s Service Department while it lasts. Prolong engine life & protect vital engine components! Change engine oil up to 5 qts. Right now at the Collierville Chrysler Dodge Jeep Ram Service Department, save over 30% on select RAM 1500 Drop-In Bedliners. The original price of $359 has been reduced to $250 for the month of November ONLY. You don’t want to miss this deal, so schedule your V.I.P. Service Appointment TODAY by clicking the button below. Do you notice a drop in your fuel economy? Does your car feel sluggish or lack power when you hit the accelerator? Want to restore your engine’s performance? If this applies to you, then it could be time for a Fuel Injection Service at CDJR’s Service Department. This month, we are offering a Fuel Injection/Throttle Body Service Package for only $179.95. You can also purchase these services individually for $89.95.